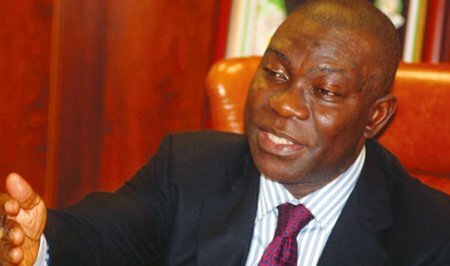 Telephone calls made by the National Chairman of the Peoples Democratic Party, Prince Uche Secondus, and the presidential candidate of the party, Atiku Abubakar, to the Deputy President of the Senate, Senator Ike Ekweremadu, were said to have pacified Ekweremadu and made him drop his alleged threat to leave the party, The PUNCH learnt on Wednesday. Ekweremadu is believed to be angry that he was not picked for the position of the running mate to Atiku in next year’s election. As the highest political office holder in the party from the South-East where the position was zoned to Ekweremadu was believed to have positioned himself for the slot. He was also said to have been sidelined in the decision-making that led to the picking of a former Governor of Anambra State, Mr Peter Obi, as Atiku’s running mate. Ekweremadu was believed to have wondered what would be his position in both the party and the government if Atiku wins the presidency. A member of the National Working Committee of the party, who spoke on condition of anonymity with our correspondent, said Ekweremadu’s fear was justified. However, when the threat to leave the party became rife, both Secondus and Atiku were said to have made telephone calls to Ekweremadu to assure him of the party’s respect for him. Ekweremadu is presently out of Nigeria. “I can tell you that both Secondus and Atiku had called Ekweremadu. They had asked him not to be worried and that the party had tremendous respect for him,” the source added. Meanwhile, Ekweremadu has debunked reports that he was headed to the ruling All Progressives Congress, noting that he remained a member of the PDP. In a statement on his Facebook page, @iamekweremadu, on Wednesday, the senator said, “I am presently out of the country on a prescheduled engagement. “In the past 24 hours, I have been inundated with calls from friends and political associates seeking clarification on the rumours of my departure from the PDP, which has dominated the media. Meanwhile, the National Organising Secretary of the PDP, Col. Austin Akobundu (retd. ), has said that the rumoured defection of Ekweremadu to the APC was the handiwork of mischief makers who he said were worried about the rising profile of the party. Meanwhile, the Vice-Presidential candidate of the PDP, Mr Peter Obi, on Wednesday, in Abuja, met with delegations from the European Union and World Economic Forum to discuss the need to conduct free and fair elections in 2019 and how to grow the nation’s economy through collaboration. Obi, who represented the presidential candidate of the party and former Vice-President of Nigeria, Atiku Abubakar, at the two separate meetings, told the EU delegation that efforts should be made to stop the APC from intimidating candidates of opposition political parties who, he said, now lived in fear. He said that campaigns should be based on issues so that the electorate and the international community could come to grasp with the problems of the country as well as the solutions being proffered by each of the political parties and their candidates. In his comments, the head of the EU delegation, Ketil Karlsen, said the election observer group had been consulting stakeholders in Nigeria to ascertain whether or not it would be necessary for the union to send a new EU election observer mission. He said the EU mission had been operating in Nigeria since 1999 and that the union had invested over 100 million Euros in Nigeria’s election process since then. Speaking at the meeting with officials of WEF, Obi emphasised the need for a closer working relationship with African countries, especially Nigeria, because most governments on the continent did not want to work with the forum for fear of being criticised. He said, “A lot of work needs to be done in Africa because things are tough. Presidential and Vice-Presidential candidates of the PDP have a clear picture of what the economic priorities are and what the international community feels about the country. The leader of the WEF delegation, Nontle Kabanyane, said that the forum was ready to strengthen relationships and to implement more activities in Nigeria through a collaboration that would lead to national transformation.